Spanish Natural Parks SPAIN is a country of variety, with plenty of spectacular natural parks and wildlife reserves distributed across the mainland and islands which are well worth a visit. Natural Park The Nature Reserve’s fauna is distinguished by the presence of invertebrates, such as the crustacean Artemia salina. As for vertebrates, the bird life is worthy of note, especially the flamingo. 2. Santa Pola Natural Park Spain. Santa Pola Natural Park on The Costa Blanca. You will find Santa Pola 20km south from Alicante airport taking the N332 highway. 3. 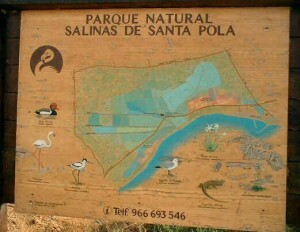 Regional Park San Pedro del Pinatar. Regional Park San Pedro del Pinatar. 4. Regional Park of Sierra Espuna. Regional Park Sierra Espuna The Regional Park of Sierra Espuna is absolutely stunning! Located inland in the province of Murcia on The Costa Calida. 5. Picos de Europa National Park. This park became Spain’s first national park in 1918. 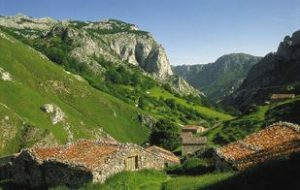 Inhabited by goats and brown bears, it is the most visited area of the Cantabrian mountain range receiving an estimated two million visitors per year and covers land in Asturias, Cantabria and Leon. Teide National Park The natural jewel in the Canary Islands is a world heritage area and is linked to Rapa Nui national park on Easter Island. A popular filming site, it has featured in movies including Fast & Furious and Clash of the Titans. Atlantic Islands of Galicia The Atlantic Islands of Galicia national park consists of the islands of Ons, Cies, Salvora and Cortegada and have a rich maritime and terrestrial ecosystem with elements of incalculable value. Cabrera National Park The marine beds of this natural park in the Balearic Islands and its isolated glory make it a must-see for divers in particular and those wishing to experience nature in a practically virgin state. However those wishing to dive in the area are warned they must request permission from the authorities a month in advance. 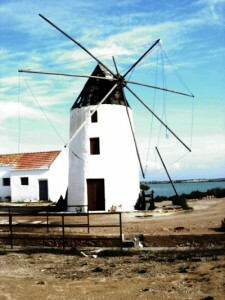 Doñana National and Nature Park Straddling the provinces of Huelva, Sevilla and Cadiz, Doñana’s marshes and wetlands are home to a variety of species of bird and the Iberian Lynx. 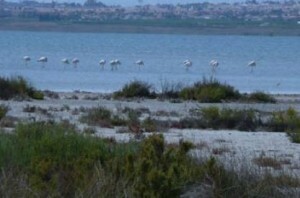 Herons, flamingos, storks, seagulls, cormorants, falcons and eagles can all be spotted in the area. Garajonay National Park Located on the island of Gomera, this national park is an ancient forest conserved in its splendid original state. It is one of the few remaining laurel forests in the world. Well marked paths allow visitors to explore the flora and fauna within the natural park although the real stars of the show are definitely the trees. Sierra de Guadarrama National Park This natural park is shared by Madrid and Castilla y Leon and contains 11 different ecosystems within its 33,000 hectares. Forty-five per cent of the animal species that exist in Spain can be spotted within the park. Monfragüe National Park Monfragüe is the ideal place for bird fanatics. Three hundred pairs of black vultures live in the park, along with 12 pairs of imperial eagles, 30 of black storks, 35 of Egyptian vultures and 1,000 of griffon vultures. The park, in Caceres, also has more than 200 species of vertebrates which inhabit the banks of the Tajo and Tietar rivers. Spanish Natural Parks. Ordesa and Monte Perdido National Park Glaciers, conifers and karstic landscapes are all a part of this special area in the Pyrenees. The park has won numerous titles over recent years, including recognition as a world heritage site and a reserve of the biosphere. It covers an area of 15,608 hectares. Tablas de Daimiel National Park This area is one of Spain’s best, and few remaining, wetland ecosystems. Its more than 3,000 hectares are home to otters, ducks and kingfisher. Spanish Natural Parks.